Remain Calm. Trust in Science. Atomic Robo Overview. My gaming group has been experimenting with Evil Hat's Atomic Robo RPG. I've been itching to try out Fate for ages. I'm somewhat surprised to discover Aromic Robo as the setting, being as it is a comic book series I only had peripheral awareness of. Essentially, what I'd heard of the RPG as a good introduction to Fate got me to check out the RPG, figuring even if I didn't use the setting I could mine it. 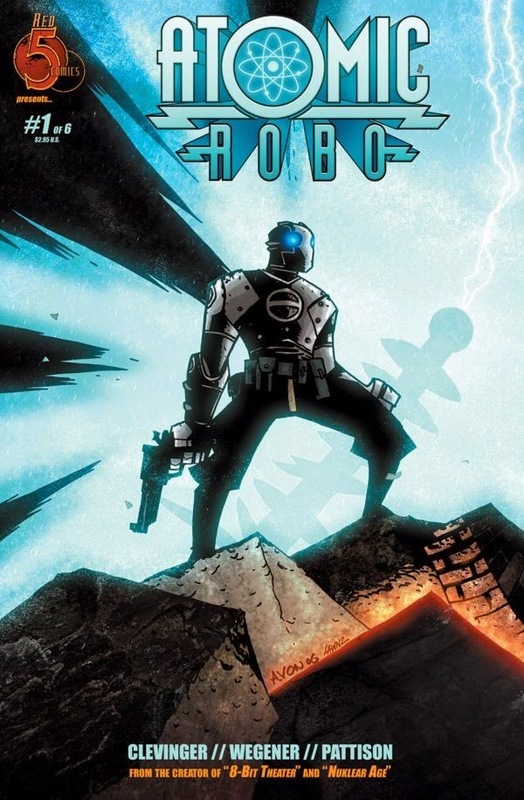 But the RPG is designed to greatly emulate the comic which caused me to go on a Comixology binge and obtain all of the digital Atomic Robo collections. I was hooked pretty quickly. I'll be talking about the RPG in the future (I hope - I also still plan on writing about some of the Delta Green stories I've read and my update frequency has been horrible of late.) Here I'll want to talk a bit about the Atomic Robo comics.